Task: The Swiss toolmaker J. Schneeberger Maschinen AG produces a variety of tool grinding machines for a range of applications. To develop direct-drive machines, for instance, in which the workpiece oscillated at high frequency Schneeberger required a partner with expertise in control and drive technology. Solution: Schneeberger teamed up with FANUC, its supplier for drives and controls for many years. FANUC produces a range of linear drives that are ideally suited to this kind of application and supported Schneeberger in the development of the new technology. Result: Equipped with FANUC drive technology and a FANUC Series 31i-B5 CNC, the new machine features a HCC (High-speed Cycle Cutting) and enables precise and homogeneous machining routines. With nine machines, such as the compact NGC, J. Schneeberger Maschinen AG provides for high efficiency in tool grinding. This is also thanks to components such as a proprietary, easily-integrated 3D probe that can be implemented in all Schneeberger machines. For many years, the trusted partner, FANUC, has stood by the Schneeberger technology engineers, providing assistance in control and drives. There is vast diversity in cutting tools for metal and wood working: from small profile indexable inserts, right down to large broaching and hobbing tools. The different geometries, not to mention the materials on the workpiece and grinding disc side, present extreme demands on tool grinding machines used for production and re-sharpening. The machine manufacturer J. Schneeberger Maschinen AG, steeped in tradition and located in the Swiss town of Roggwil, regards this as a challenge, consistently responding with innovations. And there is something new every year. For instance, two years ago at EMO, Schneeberger unveiled the NGM tap, which is suitable for production of threading tools in a single setup. It is equipped with a total of six axes, of which five are direct-drive. One of the special features of the NGM tap is that the workpiece can oscillate at a high frequency. Dr. Hartmut Rühl, Head of Software and Electronics, explains: "Linear drives are ideal for oscillation. Because they enable these small, highly-dynamic movements, and in doing so, they are wear-free." The direct-drive technology for rapid oscillation already proved itself on the Gemini GHP grinding machine introduced ten years ago. The grinding disc oscillates on that machine, however, as it represents the smaller mass when grinding hob cutters. By contrast, on threading tools the grinding disc is often 300 mm in size and heavy. That is why Schneeberger decided to make the work piece oscillate. The development of direct-drive machines was supported by FANUC, Schneeberger's supplier of many years for control and drive technology. This partnership with FANUC, which Hartmut Rühl believes in, has existed since 1990: "No other control manufacturer worldwide is so well organised. And the level of quality and reliability of FANUC products is extremely high indeed." 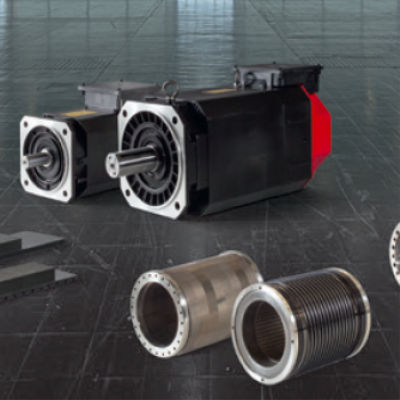 At Schneeberger, there is no alternative to linear motors when it comes to oscillating movements. Hartmut Rühl explains in more detail: "We can achieve pendulum strokes of 5 mm with 15 Hz only with a direct drive. Whereby we program these movements not using G-Code, but rather via a data table. This is then converted into machine commands using a special FANUC software named HCC." With HCC (High-speed Cycle Cutting), which FANUC provides in the high-end CNC Series 30i and 31i CNC controls, precise and homogeneous machining routines can be achieved that are unattainable in any other process. The basic structure is straightforward: For each axis to be moved, a table is created, in which the relative movements of the particular axis are programmed for a defined time interval (e.g. 1 millisecond). Last year, Schneeberger introduced with the NGC a universal and super compact new generation of grinding machines. It is suitable for standard tools such as face, radius and profile tooling cutters, high-performance borers, reamers, profile turning plates in HSS, carbide and Cermet. Specifically-designed software, grinding processes and clamping systems are available for the sharpening of hobs, shaper cutters, stick blades and bevel gear blades. Production grinding of blades for the paper, food or plastic industry is part of the range of capabilities, along with the machining of disc-shaped work pieces with special clamping and automatic loading. "There is a market demand for machines that have the smallest footprint possible, yet offer comparatively long traversing paths", explains Hartmut Rühl. "With the NGC, we have achieved this balancing act." The compact 5-axis machine enables the complete machining of tools (circumference and face) up to a 300 mm cutting length. The workpiece can have a diameter of up to 300 mm and a maximum workpiece length of 500 mm. Although both the NGC and the NGM Tap are considered relatively small machines, Schneeberger offers them with grinding disc changers and seven disc packages. For all machines in the higher-end segment, i.e. 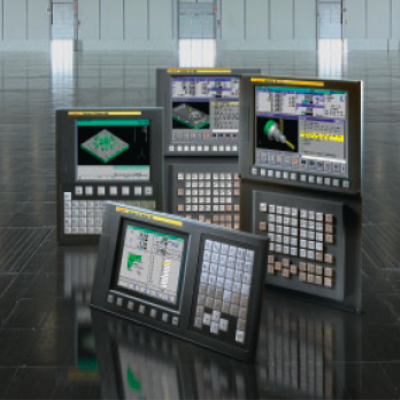 also for the NGM tap and the NGC, Schneeberger uses the FANUC Series 31i-B5 CNC controllers ideal for 5-axis machining – in a version with an integrated "Panel i" industrial PC. This is linked to the CNC via the HSSB high-speed bus. It enables the grinding specialist to apply his expertise in the proprietary software Quinto with a customised interface. All other machines from Schneeberger have also completed the transition to Model B, FANUC's new generation of controllers. For more rudimentary applications in terms of programming, the previous Power Mate CNC has been replaced by the FANUC 35i-B without PC support. Hartmut Rühl points out that the term "rudimentary" does not refer to the precision but to the programming requirements: "With these machines, hob cutters can be re-sharpened in 3A quality. A very demanding task indeed, requiring only ten out of 20 parameters, however, which can be completed locally on the machine." 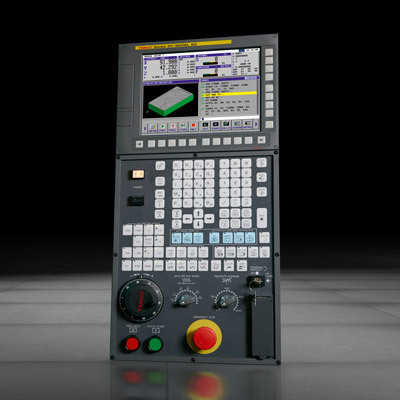 Controller specialist Rühl also indicates interest in the new FANUC compact CNC 0i-F: "That would perhaps be an additional alternative for the lower-end segment of our grinding machines that have only a few axes and do not require a multi-channel capability." With the 0i-F, presented in Europe for the first time at the AMB 2014, the CNC world market leader unveiled its "Seamless Concept". This states that all FANUC CNC controllers are built according to a unified standard and have comparable operating instructions. This means that both the 31i-B5 and 0i-F require the same peripheral components (amplifier, I/O etc.) and are included in the same housing. The software makes the sole difference. Schneeberger has yet another innovation that is offered throughout all machinery series and generations: its own 3D probe. Hartmut Rühl states the reason for this development: "Over time, the machines have become more and more precise and faster. So the integrated probe ought to have equal capabilities. In order to offer our customers the optimal solution, we developed a 3D probe that fulfils our requirements 100 percent." Accordingly, the Schneeberger Zenon probe is based on the use of semiconductor strain gauges (ScSG), a technology that promises a high level of precision. Application engineer Antonio Grasso, responsible for development, explains: "This measurement method is also used by the market leaders of tactile 3D measurement technology, and enables us to achieve absolutely comparable results." This sensor technology achieves a high degree of repeatability which does not change even after several million probes. It also eliminates so-called "lobing", which occurs with kinematic probes. "When we use the Zenon on our linear motor machines", Antonio Grasso explains, "which are renowned for an extremely rigid construction, we achieve levels of precision hardly surpassed by an external coordinate measuring machine. We have proven this in side-by-side measurements. Our precision is currently below one micron, and we are on our way to achieving reproducible measurements of 0.5 µm." The user above all profits from time savings when deploying an integrated probe of this type. Because he can eliminate the need for retooling from measuring to re-setting the grinding machine. Every little bit counts, especially on large tools such as hob cutters or even granulate cutters, which may weigh up to a tonne. "For this, the setup can already take up to 30 minutes", explains Hartmut Rühl. From a quality assurance perspective, however, a probe integrated in the machine does not replace the measuring machine. Because if the setup was not correct, for example, you could not detect any fault with the integrated probe. But Antonio Grasso points out: "The user definitely benefits from the fact that he can assess his production process and verify reproducible results. Thus, it is perhaps sufficient for him to place only a few parts onto the measuring machine in order to verify absolute precision. Also in the development of the new probe, the application engineer worked closely with the drive and controller supplier, FANUC. As a result, the probe process itself has been accelerated. Because in the past, you had to traverse with the probe to the component at a constant speed. For this, it was necessary to keep a certain distance prior to each probe. The new FANUC Model B generation of controllers now offers the 'Feed Forward Compensation In Skip' function, which also allows probing in the acceleration phase. "We are now achieving the same precision in a much shorter time", sums up Grasso. "Because the FANUC CNC is a controller for machining and not a measurement controller that reads out the exact positions every millisecond, the result is remarkable. We have pioneered into a realm where we can partly compete with dedicated measuring machines." The good measuring results are not limited to the Schneeberger Sirius and NGN tap linear machines. Superior results were also achieved in trials with the NGC. What's more, the Zenon probe is backward compatible. This means that if a user wishes to exchange his existing Schneeberger probe, he can easily do so with a small interface. Already back in 1923, Walter Schneeberger established the company bearing his name. Two years later, he launched the R1 in the market, a tool grinding machine with universal applications. In its technical pioneering role, the company developed and built the first CNC-controlled profile grinders in 1985. This ushered in the new era of tool quality. In 1990, Schneeberger launched the 5-axis grinding concept, and in 2003 the first machine with linear drives, the Sirius HPM. Today's product range of this 170-employee company also includes the Corvus, Gemini und Norma CNC grinding machines with outputs of up to 40 kW. In addition, with the Aries series, Schneeberger offers an economical alternative to 5-axis technology in re-sharpening. Along with headquarters in Roggwil, Switzerland, the company has subsidiaries in Germany, France, Italy, USA and China, as well as more than 20 agencies worldwide.